Today I worked on insulating and skinning the roof. I just got back in to town and can’t wait to get working on the build. I just ordered parts from teardropparts.com and should get my windows soon. 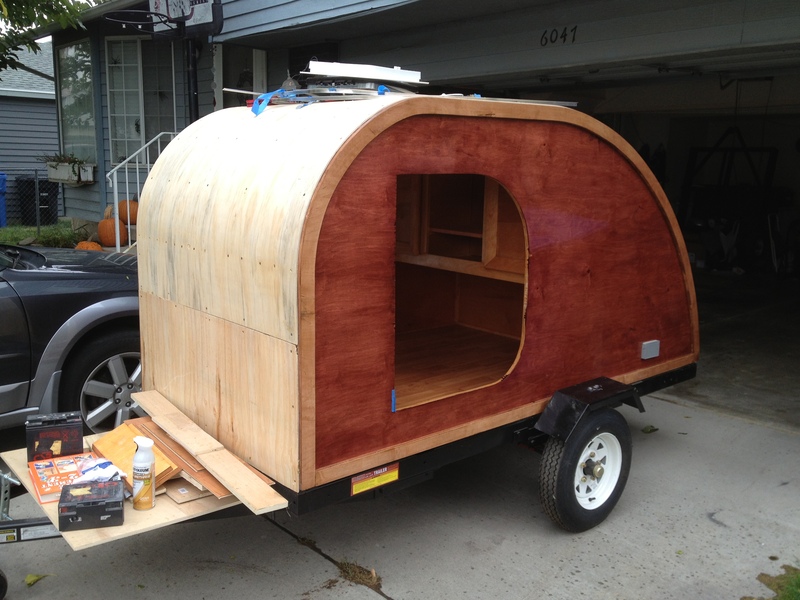 I have a 3 day weekend and plan on finishing the electrical, the hatch, and insulate the top. We will see how It goes. Feel free to ask me any questions or make suggestions. I love to get feedback on the site. I will try and get some of the beer stuff up this weekend as well. I have a ton of beer recipes and som DIY projects that aid in brewing. Thanks for looking. Here are some photos of the first couple of days into the build. I finished the cabinets today and installed the Wfco power station. I need to buy a battery to test the charging and the inverter.